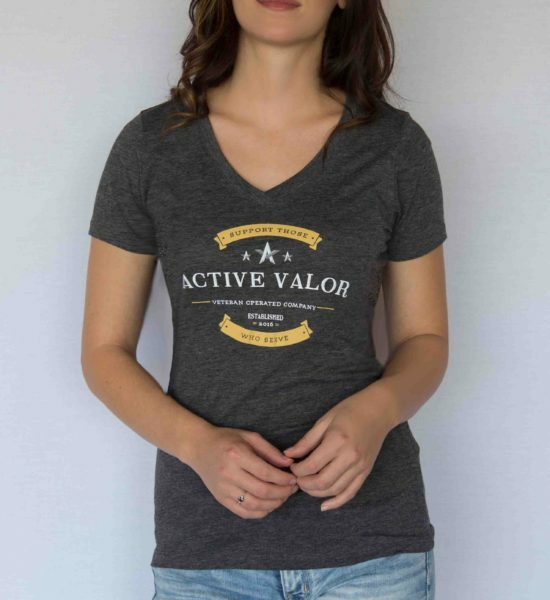 This insanely soft and stylish tee is the perfect addition to your American collection. 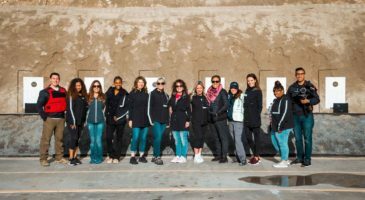 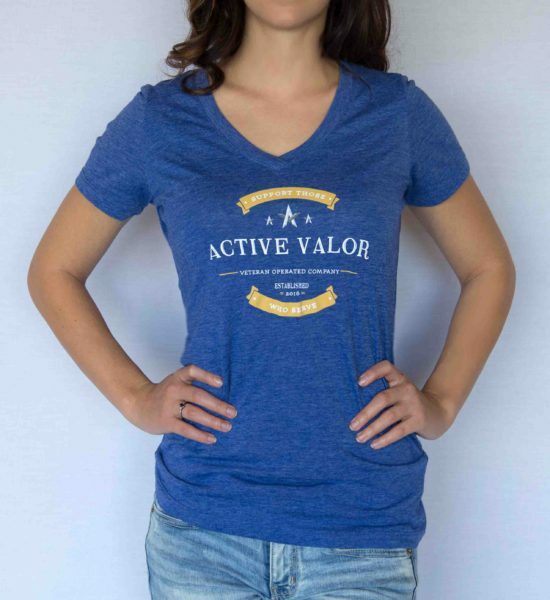 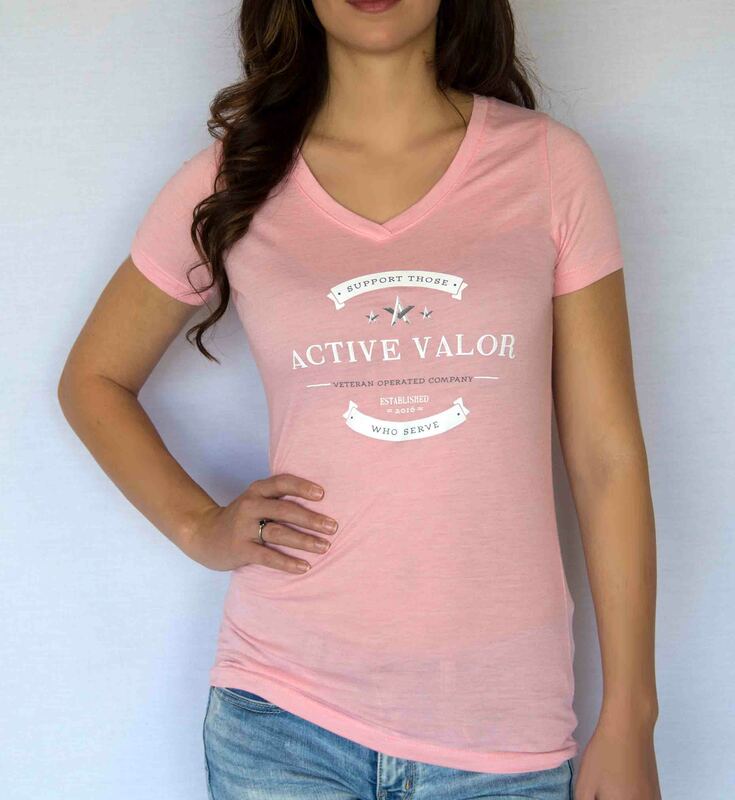 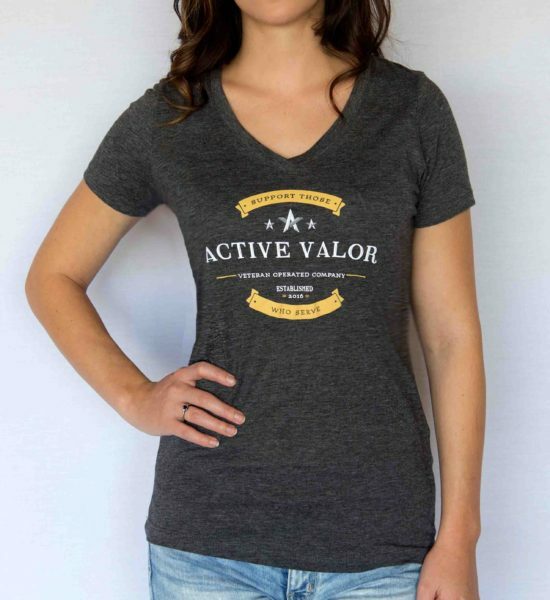 This sleek Blush design embodies everything we stand for: a bold support for those that serve our country, a classic touch that pays tribute to our roots and a detailed assemblage that keeps you comfortable all day. 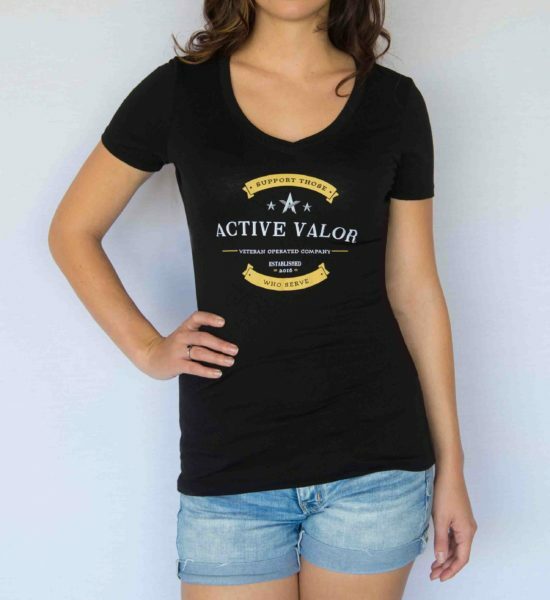 The soft v-neck design creates a natural curve to compliment any figure.